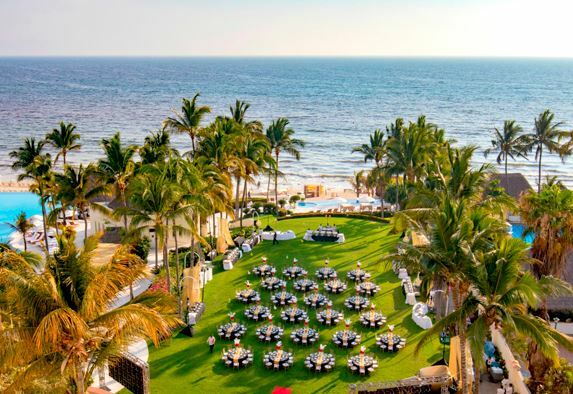 Beautiful, inspired and surrounded in the local flavor of Mexico's most magnificent regions, Puerto Vallarta, Riviera Maya, and Los Cabos create the perfect backdrop for any event. Be creative and innovate in flexible spaces, surrounded by sprawling coastlines, white sand beaches, and emerald-blue waters. The ultimate meeting of paradise and purpose, our world-class resorts offer diverse venues, fine-tuned cuisine and personalized, hands-on services. Meet, gather and celebrate in an inspired setting at Grand Velas Riviera Nayarit. 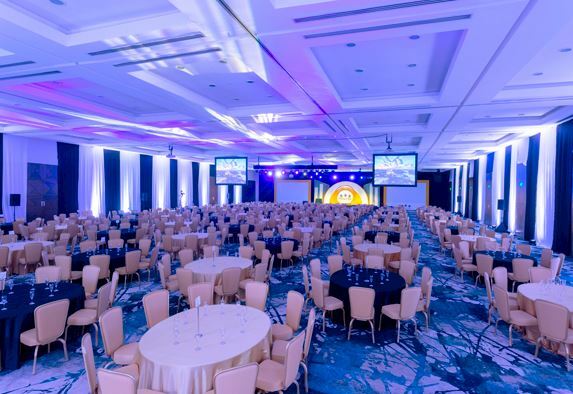 This award-winning resort hosts a world-class convention center, elegant ballroom, modern audiovisual technology, business services, group activities, event planning, culinary delights and themed parties like "Crescent Moon Night on the Beach." Surrounded by the tranquil scenery and rich culture of Mexico's most beautiful region, Grand Velas is a tropical retreat where you can work hard and play even harder. Find out about our meeting packages and start planning. Foster focus, inspiration and celebration when you host your next business meeting, conference, or event at Grand Velas Riviera Maya in Mexico. The resort's expansive convention center offers 91,547 sq. ft. of flexible space with 32 meeting rooms and two large convention areas for up to 3,000 guests. Set against the sacred beauty of Mexico's Riviera Maya, the region's breathtaking surroundings serve as the ultimate backdrop, creating unforgettable events that impress and inspire. Plan your agenda, and let our team handle the rest. 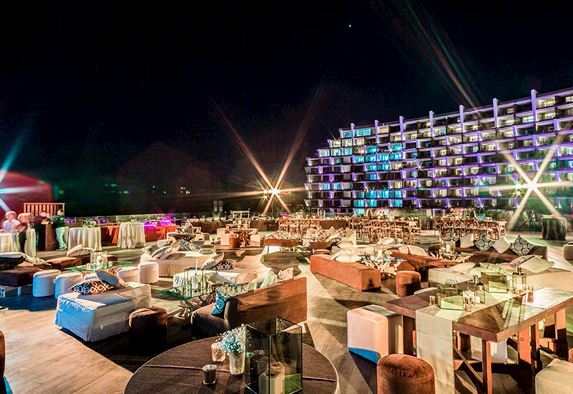 Host events with purpose, with the beauty of Los Cabos as your backdrop. The convention center at Grand Velas Los Cabos offers 16,370 sq. ft. of flexible space, designed to accommodate groups of 10 to 1,700 attendees in a cocktail reception arrangement. Conveniently divisible into 20 breakout rooms, the space is dynamic enough to host functions of all types, from lavish celebrations to board meetings, conferences and expositions. Los Cabos International Airport (SJD) is located 35 minutes away, making transportation and arrival seamless.